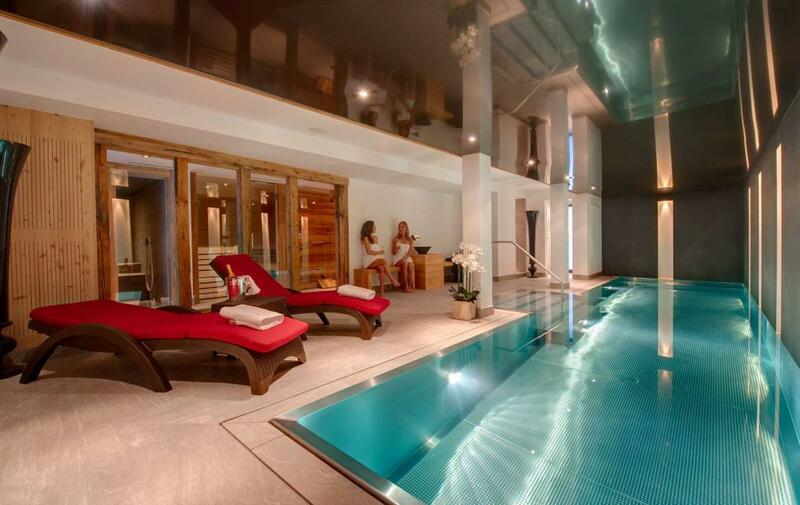 This is a beautiful free-standing chalet and is unique in Zermatt in that it is the only free-standing chalet with a Swimming Pool, there is also a Hammam, Sauna, massage room and an outdoor hot-tub. 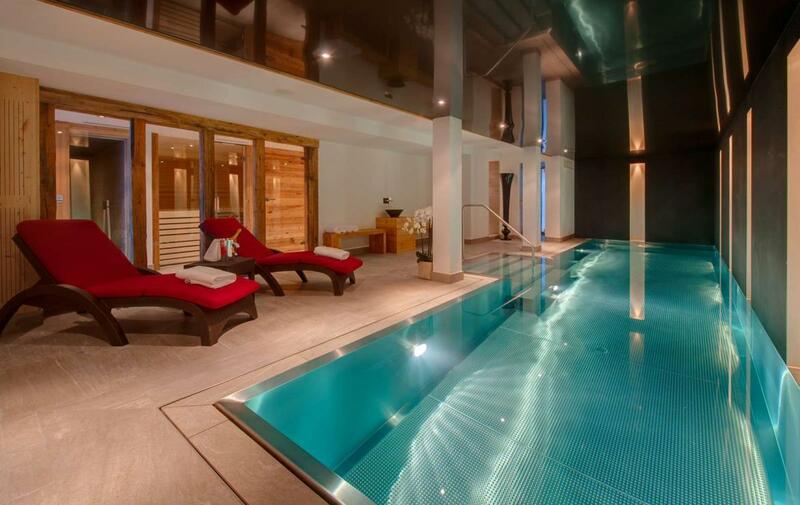 Adjacent to the wellness area in the lower ground floor is a cinema room, games area and bar. The ground floor has a spacious entrance, a dining area that can seat 14 comfortably, a lounge with open fire, TV, DVD and wireless internet and a separate library area. There is a separate closed kitchen where our team will work to create fabulous cuisine throughout your stay. 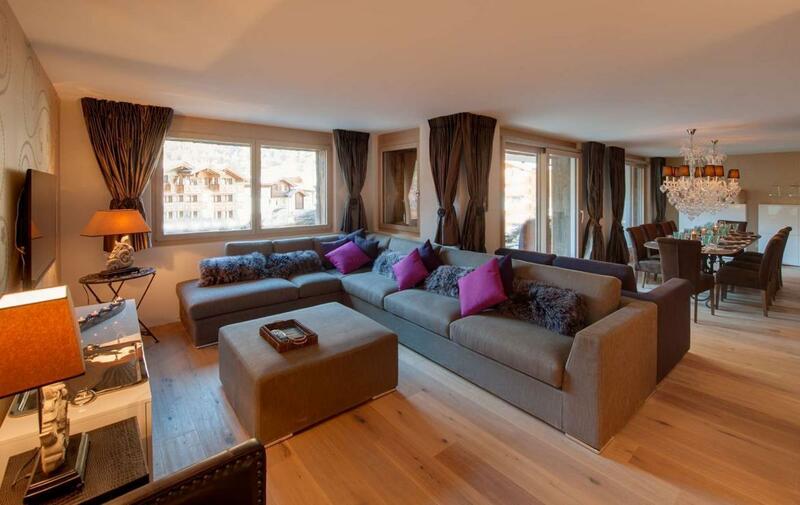 The first floor comprises of two large en suite double bedrooms with balconies and Matterhorn views. The third bedroom can either be a king size double bedroom or a quad room for a group of up to four younger guests (there are two extra full size single beds that can make this room a great den for children), this bedroom has a private bathroom adjacent to it. 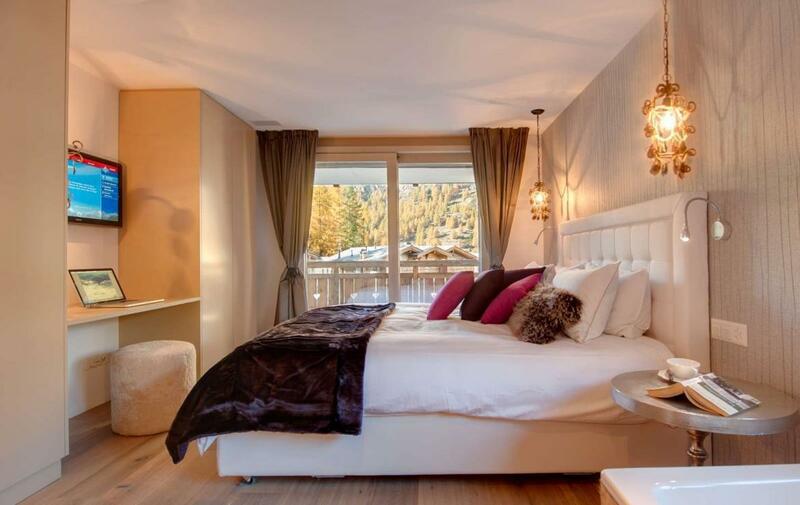 The second floor has two suites with balconies and fantastic Matterhorn views and open fires. 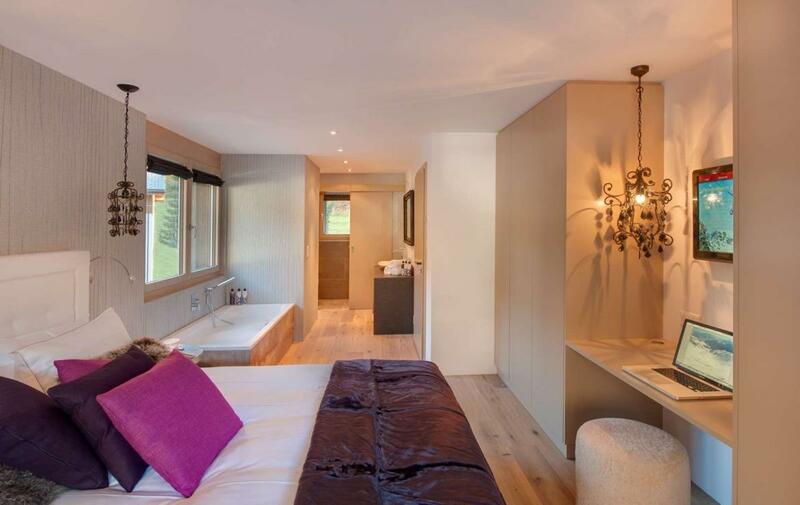 Each suite has a large double bedroom with a free-standing bath, en suite bathroom with shower/WC. 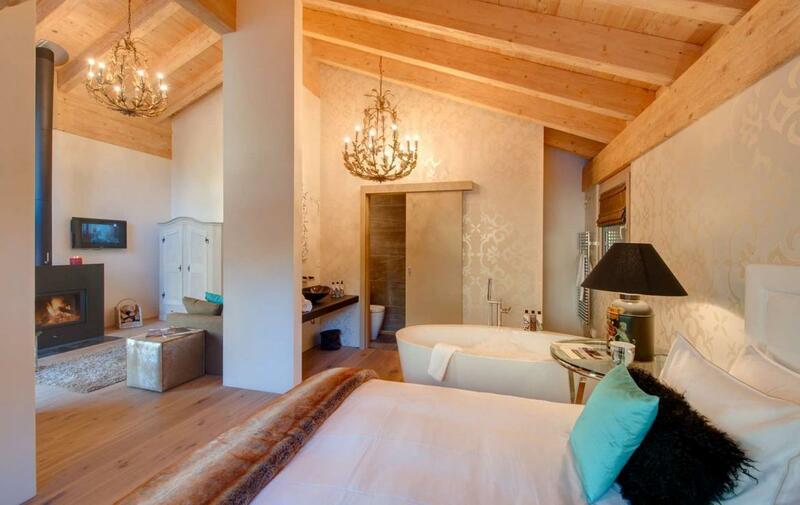 The master suite has a separate lounge/dressing room with a fireplace and the second suite has an open-plan lounge and dressing room. 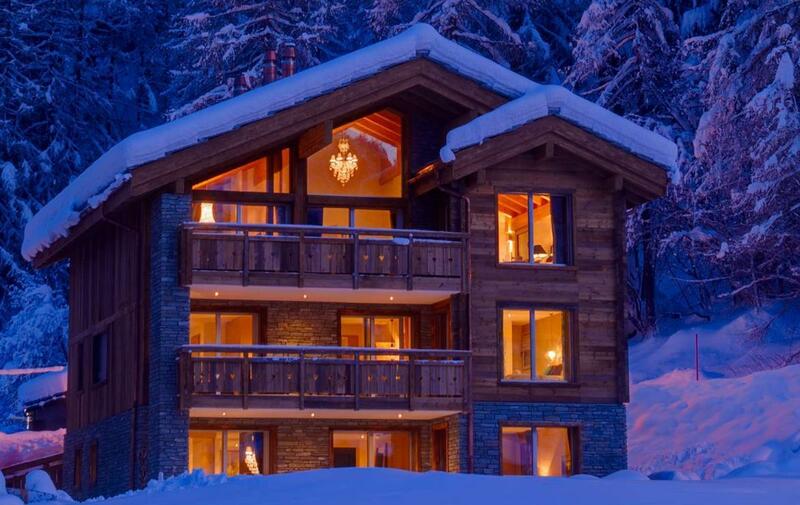 There is a lift in the chalet making it suitable for less able bodied guests. 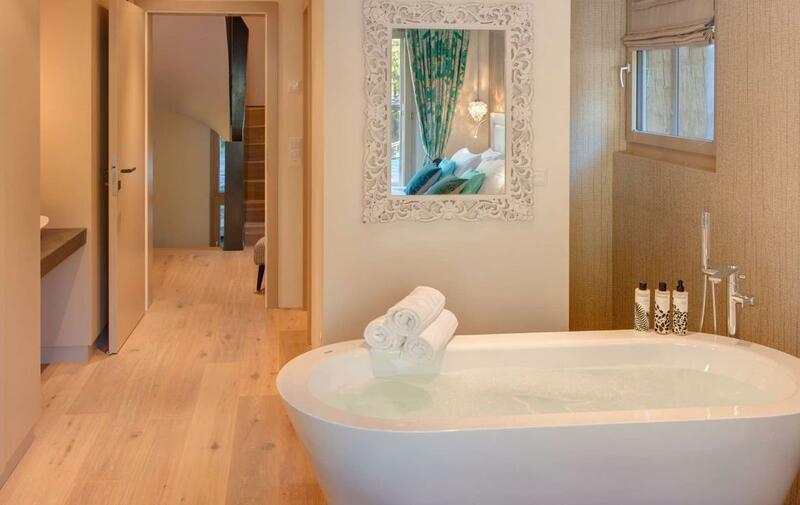 Our chefs and chalet staff are on hand to provide you with a chilled glass of champagne in the Jacuzzi, organize your massage and prepare breakfast, afternoon tea and a six course gourmet evening meal. 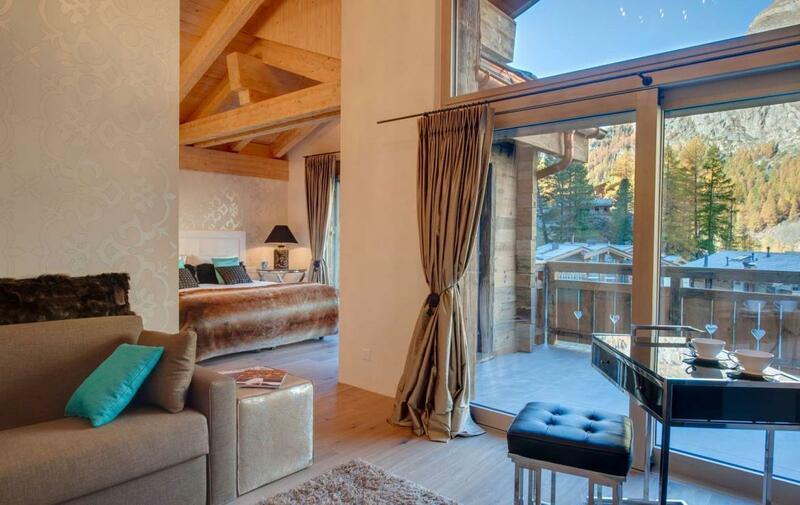 The chalet comes with a driver service to allow you quick access to the village centre if required, which is 4 minutes in an electro car or a 15 minute walk. 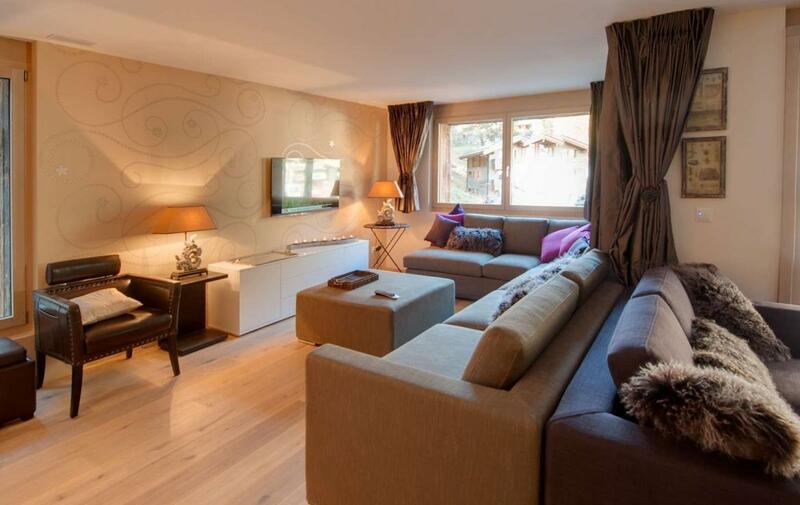 The chalet is located in the area called Winkelmatten and has some fantastic restaurants and bars, children’s play areas and shops. 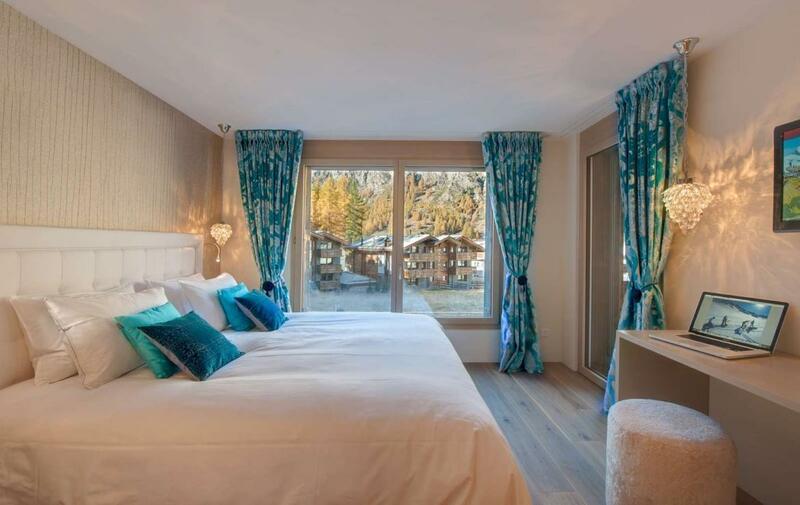 During the summer months it is perfect for families with spacious green areas to play outside and large south facing balconies to relax soak up the sun and enjoy the Matterhorn views. 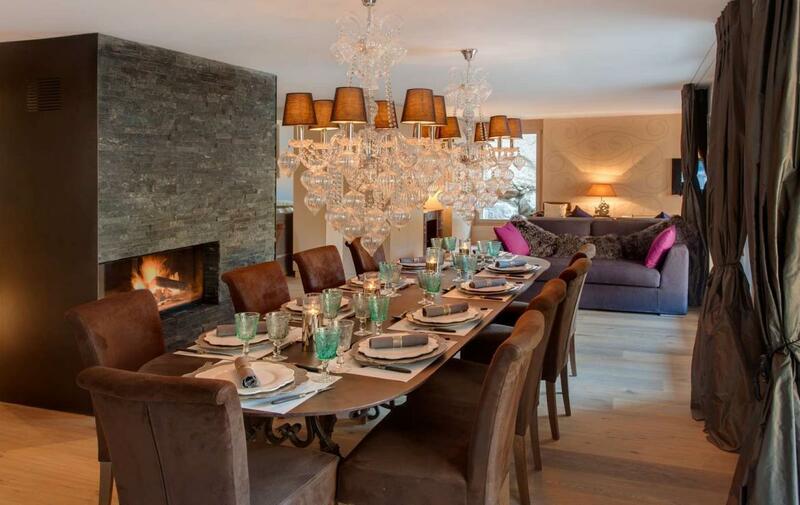 The chalet can also be offered in summer with breakfast only or self-catered.